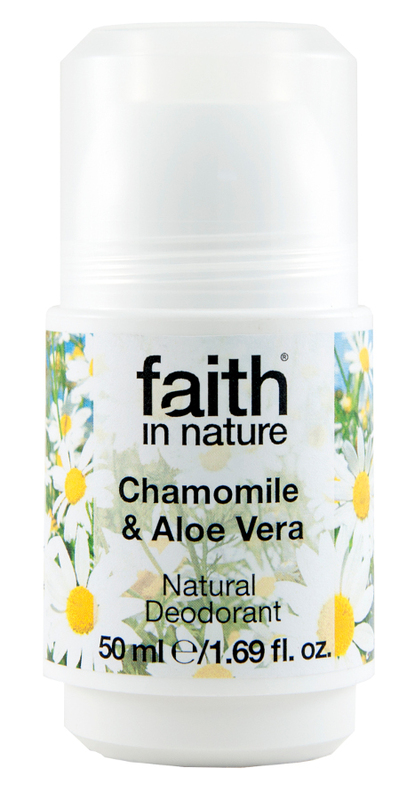 Faith In Nature Aloe Vera & Chamomile Roll-on Deodorant 50ml. This effective, long lasting, crystal roll-on deodorant has skin conditioning ingredients, fights odour leaving you feeling fresh and comfortable all day, without inhibiting perspiration. 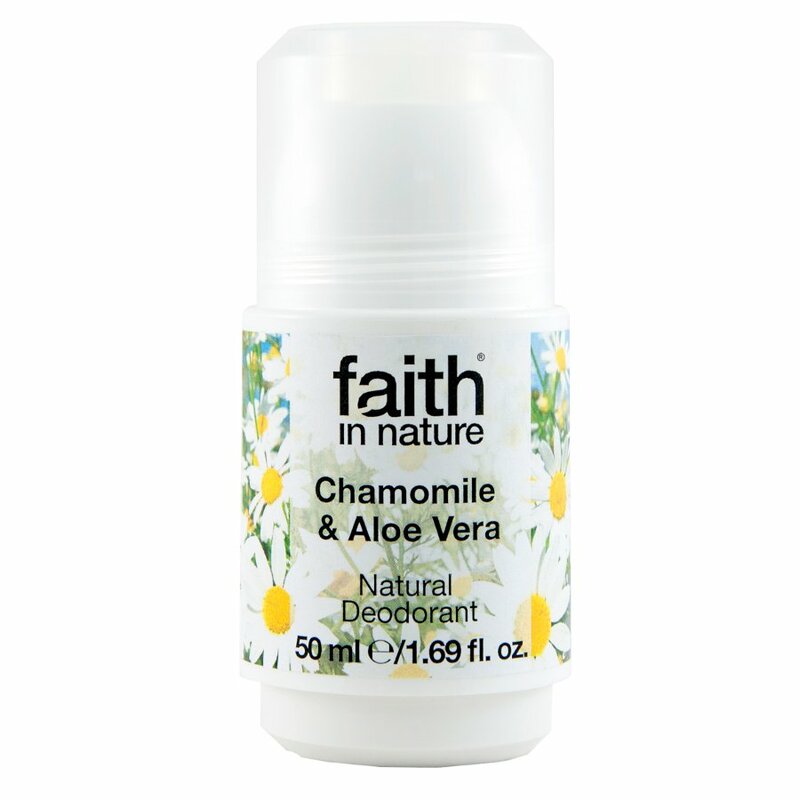 There are currently no questions to display about Faith In Nature Aloe Vera & Chamomile Roll-on Deodorant 50ml.